If you have a drumstick plant on your garden that symbolizes, you have a doctor at home. It is the best medicine for most of the common diseases and it is the most recommended spinach variety for all the age groups. From the bottom of the plant to the end of the plant, every part is used for many medicinal purposes. The root, stem, branches, flowers, gum on the surface of the branches, vegetable and leaves are the raw materials for many medicines. Drumstick increases appetite It heals the wounds inside the stomach. It Helps to reduce headache and blood diarrhea. It purifies blood and excretes toxins out of the body. Drumstick should be taken twice a week to maintain better health. Drumstick soup builds immunity power against joint pain, mouth ulcer, stomach ulcer, fever, and eye diseases. The side effects caused by tablets are efficiently prevented when a person intake drumstick leaves in their food. The swelling in hand and legs are prevented. Constipation is prevented with the help of these leaves. Add ghee while frying the drumstick leaves and eat it without adding spices. It helps in blood circulation and improves the level of the pure blood in the body. 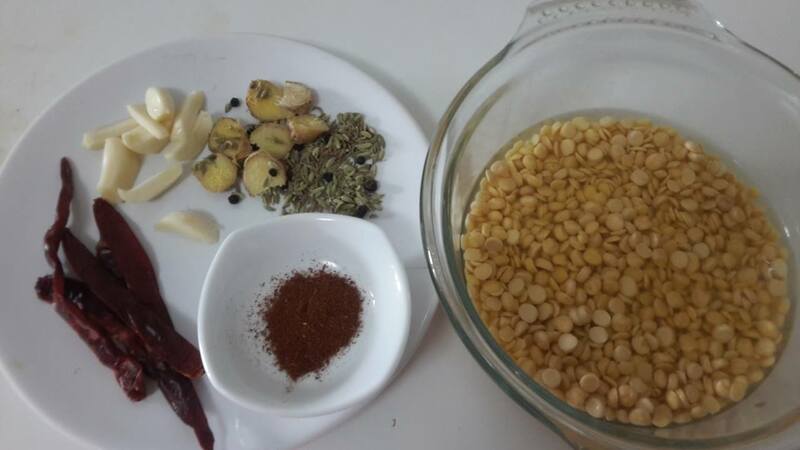 1.Wash and soak toor dal and channa dal soak for 2 hours, and soak red chilli fennel seeds,cumin seeds and pepper corns separately in little water. 2.Drain out water from dal , first grind the soaked spices with ginger and garlic, then add soaked dal to it, grind roughly not to a fine paste. 3.Remove stalks from drumstick,wash and drain water completely. 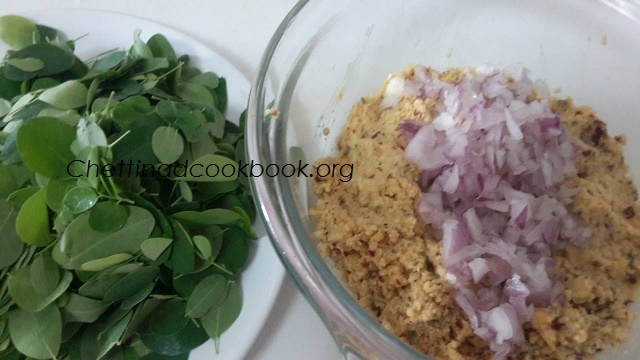 4.Add this greens and finely chopped onion to the dal mixer, add salt and mix it well with your hand so as to blend altogether. 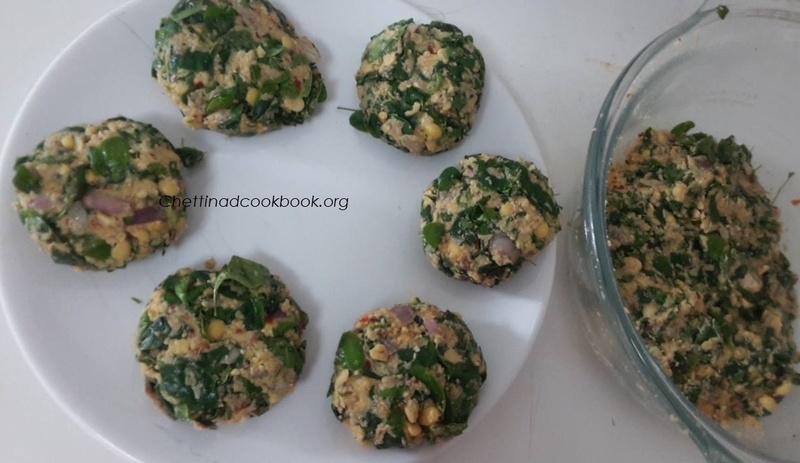 5.Make it to a lemon sized balls , slightly press with your palm . 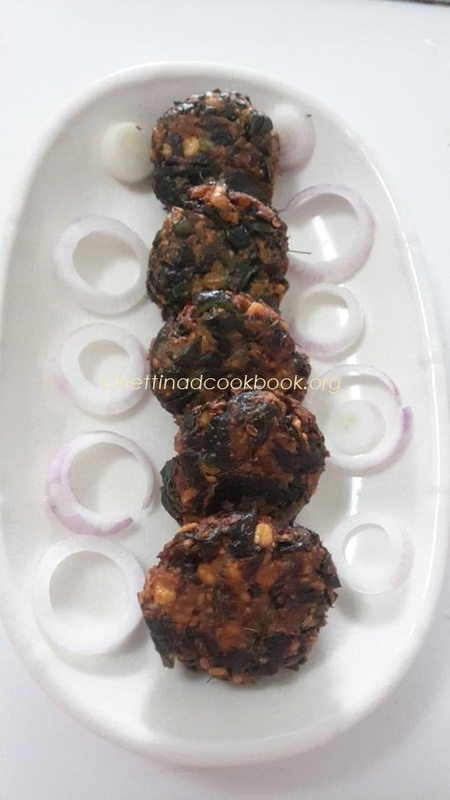 6.Heat oil in a wok, deep fry the patties to a crispy vada.Cook in medium flame so the vada gets cooked inside well. This our traditional cooking method.